The Alexa Ranking sorts websites according to their popularity. Popularity is defined and measured by the average of daily visitors and their page views. Interestingly, the USA currently holds 8 of the Top 10 most popular sites in the world, with the other 2 of the Top 10 going to China (denoted below in CAPS). Take note, American Grade School Educators, this is why children must start learning Chinese; not French, even though it is a lovely language with a fascinating culture. The percent of global Internet users who visit Google.com is about 30-42% daily. The Japanese and Chinese are conducting searches in English at a high rate. FaceBook is a classic case of a company that is late to market entry in Japan. Consequently, Mixi.jp, Japan’s native and most popular social networking site, ranks #8 in Japan, with FB at #31. Although in China, Youku (similar to YouTube) ranks #9, because people in China are not allowed (by the government) to watch videos from YouTube. Like Google, Yahoo!China has imposing barriers to entry in the Chinese market, losing out to local competitors like Sina (ranked #4 in China) and Sohu (ranked #7). Baidu is the #1 search engine in China, with more than 70% market share. 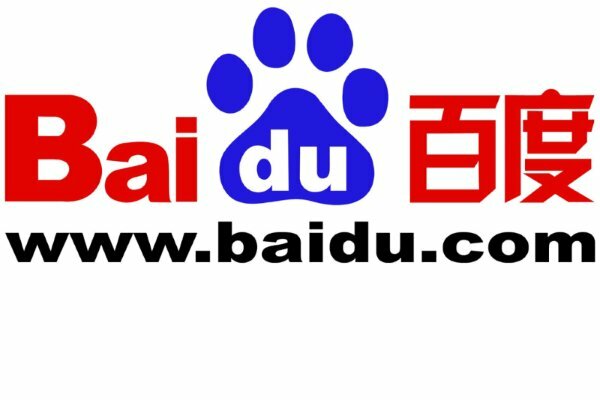 Besides website, MP3, Image, Video, and other search services, it also offers Baidu Hi (similar to MySpace), Baidu Zhidao (similar to Yahoo! Answers), Baidu Tieba (similar to Google Groups), and more. Known as QQ for short, it is the largest IM (instant messaging) service provider in China. It also includes a shopping platform (Consumer-to-Consumer). While there are definite national patterns that are amusing from a cultural perspective (to follow below in bold & parentheses), one can see in the worldwide rankings that a familiar global pattern emerges from the following four uses of the internet: information (news/research), communications (social networking, file sharing), shopping (marketplace), and entertainment. The USA has the same Top 4 as the worldwide rankings above, with #5 being Live.com. Here’s a look at the Top 5 in three other countries (namely, France, Japan, and China). Orange is France’s leading mobile operator and provider of Internet access. As an internet portal, Orange offers the French news, sports, celebrities and international aid. Literally “How it works,” it’s a website to find answers to questions. (Reflective of the French mind. Des Cartes would be proud). Yahoo! is much stronger in Japan than Google, since Yahoo! had quicker market entry and focus on partnership building. (The Japanese prefer to work with those who value Relationship over Task). Google Map’s street view launch (2009) boosted its appeal in Japan. (Another cultural clue, since the Japanese map system is not intuitive to Americans, and many others). A free and user-friendly website creation and blog hosting company. Google surpassed the native video website NicoNico Douga, due to copyright issues which YouTube was faster to contain and solve. (Cultural clue is that Americans have more lawyers in California than the entire country of Japan). Ecommerce (like Amazon and eBay combined). Its founder, Hiroshi Mikitani, is one of the Top 10 internet billionaires. (The Japanese love to shop, and they love to shop brand names). (All websites are under the surveillance and control of the Beijing government. Much like its history, barriers to entry are severe for outsiders, yet persistence has a pay-off because a “technologically plugged-in” population as large as China can wield a staggering amount of economic power). Portal site (similar to Yahoo!). It provides news, mail, a blog platform, IM, communities, etc. Ecommerce (similar to EBay). (The Chinese have been hailed for centuries as the Merchants of the World). USA corporations would fare better to hire some in-house global organization development practitioners. Posted on February 13, 2014, in Uncategorized and tagged Alexa Rank, Amazon, Baidu, Facebook, Google, LinkedIn<, Orange, QQ, Rakuten, Top World Websites, USA websites, Wikipedia, Windows Live, Yahoo!, YouTube. Bookmark the permalink. 1 Comment. Fun to get this – when we were in Beijing my niece introduced this site. information that only the West sees.